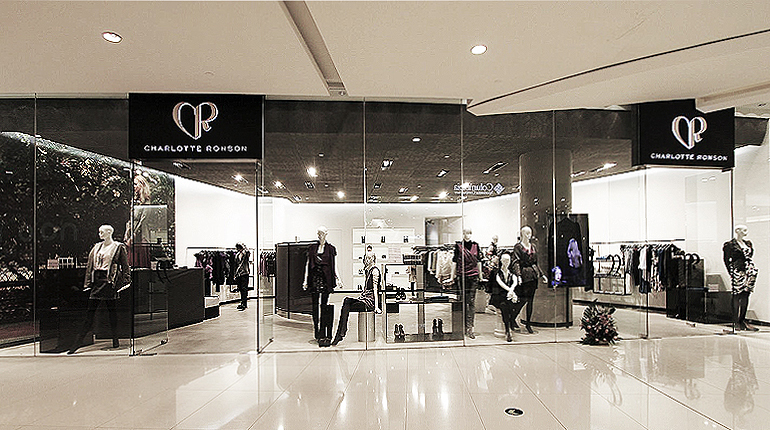 This project was to create a design tem­plate for retail stores for the pop­ular New York based fashion designer, Char­lotte Ronson, to be launched in var­ious loca­tions in China. 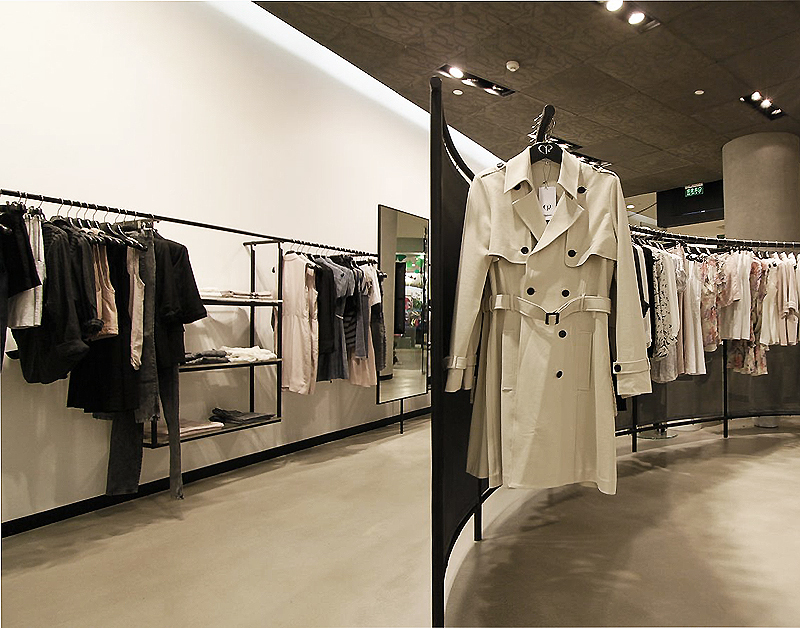 Under­standing the lim­i­ta­tions of con­trol­ling the quality of con­struc­tion in China from the States, we pro­posed a simple palette of ele­ments to com­plete each store. Pol­ished con­crete flooring, logo-imprinted metal mesh for the ceiling, curvi­linear walls, black metal hanging racks and large photo murals were the basic design elements. A mod­ular system of acrylic dis­play cubes were laser etched with the com­pany logo. 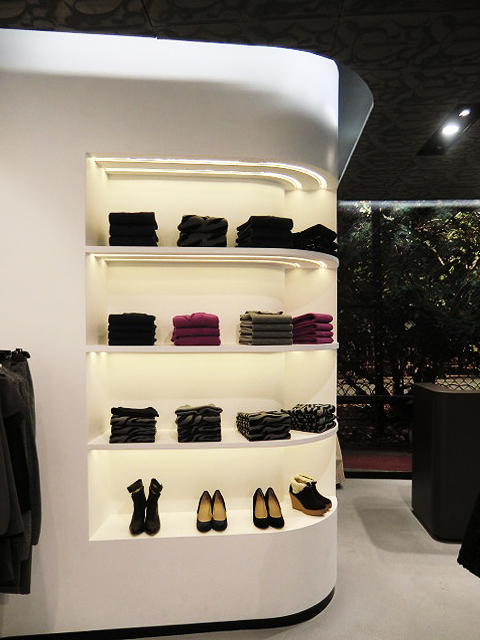 These units were intended accom­mo­date a variety of dis­play con­fig­u­ra­tions depending on retail needs. 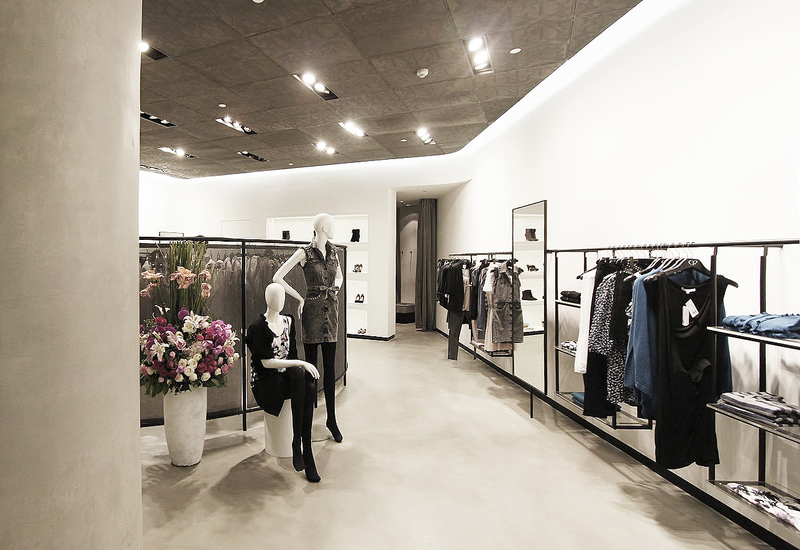 With the first stores built in Shanghai and Hong Kong, the owners intend to build 200 more stores, bou­tiques, and kiosks throughout China.